Caffeine, the lifeblood of our nation. 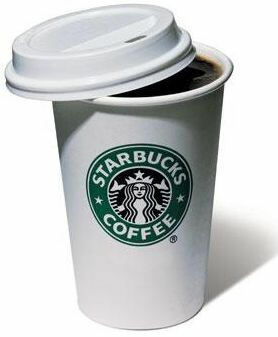 Many American's "can't" start their day without that cup of Joe. I can understand it, I am hooked. 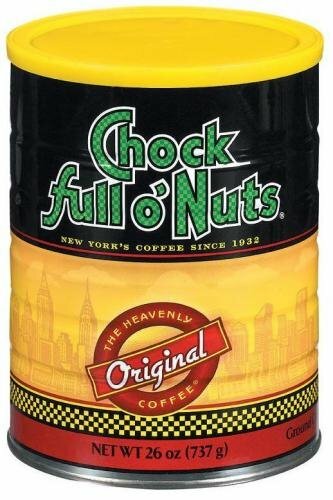 The problem is, I am a coffee snob and I would quit coffee cold turkey rather than drink Chock full o' Nuts or a cup of coffee from a gas station. I like Starbucks just fine, but the price tag is just too high for me to frequent. Here is some math. If you go to Starbucks every work day and order a tall Mocha Frappuccino or any other specialty drink, it will set you back over $4.00. That's $20 per week, not including the price of the baked goods that go with your drink. Over the course of 52 weeks that ads up to $1,040 per year without interest. If you invested that money and earned 6%, and if you did it consistently for 30 years, you would end up with somewhere in the neighborhood of $85,000. Well, coffee isn't my only bad habit. I eat out; as a growing family, we would be lucky to spend less than $30 per week on restaurants. I grab an occasional ice tea or soda in the afternoon, that's another $3 per week. We rent a few movies which ads up to roughly $8. Tack on the bagel from my once a week men's group; $5. All of this stuff ads up. Just between these things and the coffee we have about $63 per week. If you run the same math on investing that over 30 years you’re looking at more than a quarter of a million dollars. For me these things are important. Call it comfort food or whatever you want. They say that, "The quickest way to a man's heart is through his stomach" and I believe it. So instead of giving up these indulgences all together, I try to be smarter about it. I found a grocery store locally who brews pretty good coffee. They will sell you a refill for 50 cents and any pastry or muffin for 55 cents. For $1.11 with tax I get my coffee and a donut. (I'll probably pay for it in cholesterol later.) When compared to the Starbucks situation, that saves me $2.89 per day. If you invested the $2.89 for 30 years at 6% you would end up with $62,000. Not quite $85,000 if you skipped out completely, but you still get your treat and you don't break the bank. These opportunities exist everywhere. The spot we rent movies has a policy that if you return them the next day you get a $2.00 credit. We make sure we get those flicks back and if we keep them we try to pass them along to our friends. When eating out, maybe skip the combo meal for $7.00 and go for 3 items off of the dollar menu and an ice water. Grow your own veggies instead of spending $2.38 on an organic tomato. Communicate with friends and family about how they save money. It all ads up. In the end, you will still be able to afford that cup of coffee in retirement as well.